Flamborough is situated on the east coast of East Riding of Yorkshire in England on a headland to the northeast of Bridlington. The village is located in the centre of the headland. 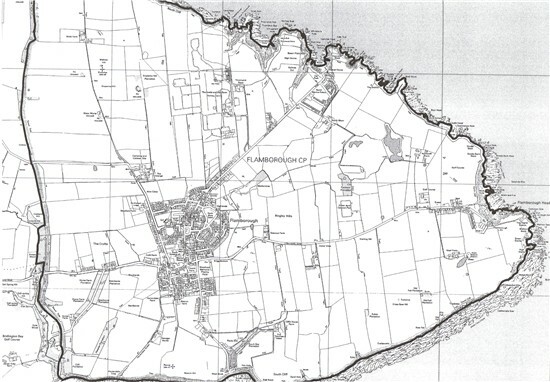 The bays of North Landing and Thornwick are located to the north of the village (on the B1255), Selwicks Bay and the Lighthouse to the east (on the B1259) and South Landing to the south and these can be accessed through the village. From the south of England take the M1 to junction 32 and take the M18 north until it joins the M62 where you should continue eastbound on the M62 (from the west of England, join the M62 and continue eastbound) until junction 37 (Howden) where you should join the A614 signposted to Bridlington. Continue on the A614 to Bridlington and follow the A165 at Bridlington until it joins the B1225 singposted to Flamborough and this takes you directly to Flamborough. From the north, take the A165 from Scarborough until Reighton. Just past Reighton take the left turn to the B1229 and continue through Buckton and Bempton until reaching Flamborough.